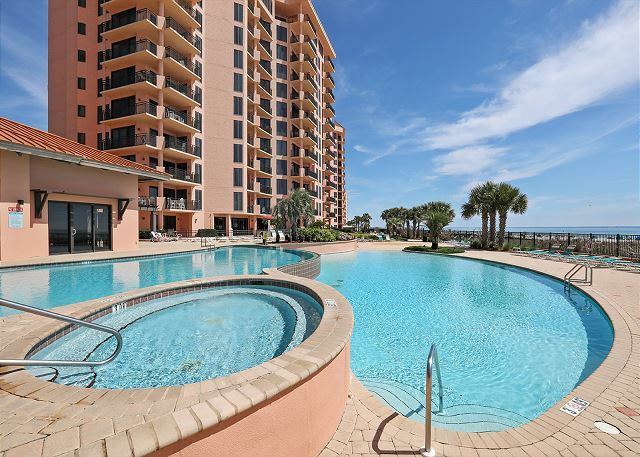 Views of the Gulf from the master bedroom, the living area and large balcony make this 1,541 square foot, three bedroom, two bath twelveth floor condominium a renter's favorite. Fully appointed kitchen includes ice maker, microwave, dishwasher and laundry area with full size washer and dryer. Other features including ceiling fans, central heating and air conditioning, and a large master bath with whirlpool tub, separate glass enclosed shower. Great rental. Great location. This is an awesome unit. We love SeaChase as a property. My biggest concern was that there were remotes all over the place. Half didn't have batteries and the channel guide was out of date. Couldn't get the bedroom tv to come on for the first couple of days until maintenance came and fixed it. Only a big deal because we are still not living in our house due to Hurricane Harvey and I need to fall asleep with a tv. Other than this the only other issue was the couches that you sank in when you sat on them. We had to sit on a pillow to sit on the couch. We expected more than that for what we paid. Besides those issues the property was fine. Thank you for choosing the Aronov Gulf Coast team for your SeaChase reservation! We're so glad you enjoyed your stay with us and hope to see you again soon. We have forwarded your comments to both the condo owner and our maintenance department. Great location & comfortable condo. It had everything we needed, and the ice machine was a big plus.